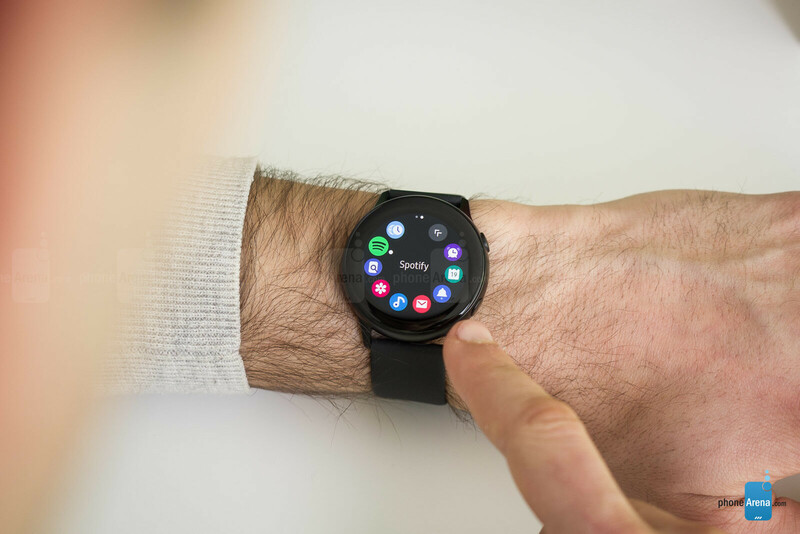 If you are looking for a small and lightweight smartwatch that will look better on your wrist than a sporty fitness band, Samsung has got something for you: the brand new Galaxy Watch Active. 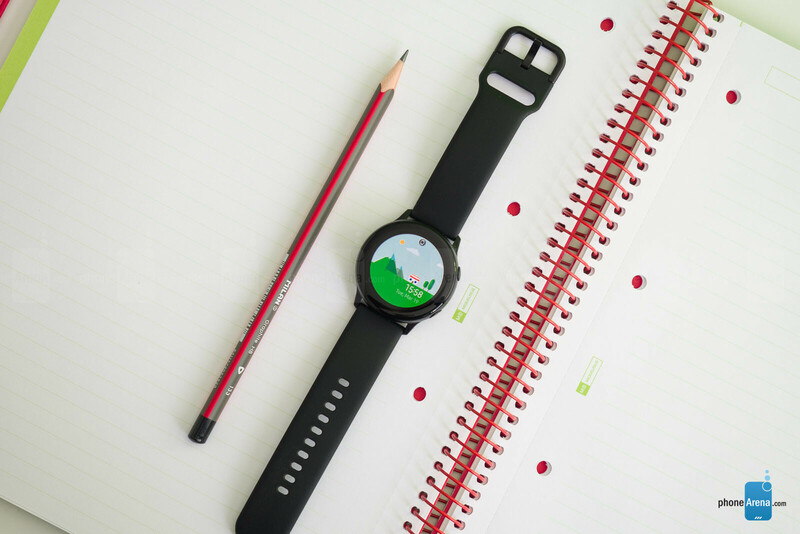 Priced at the quite affordable $200, the Galaxy Watch Active works with both Android phones and iPhones, it is half the price of an Apple Watch and also much less expensive than Samsung’s other Gear watches, while still offering a beautiful display, a metal body, as well as a heart-rate monitor, GPS, workout and sleep tracking. 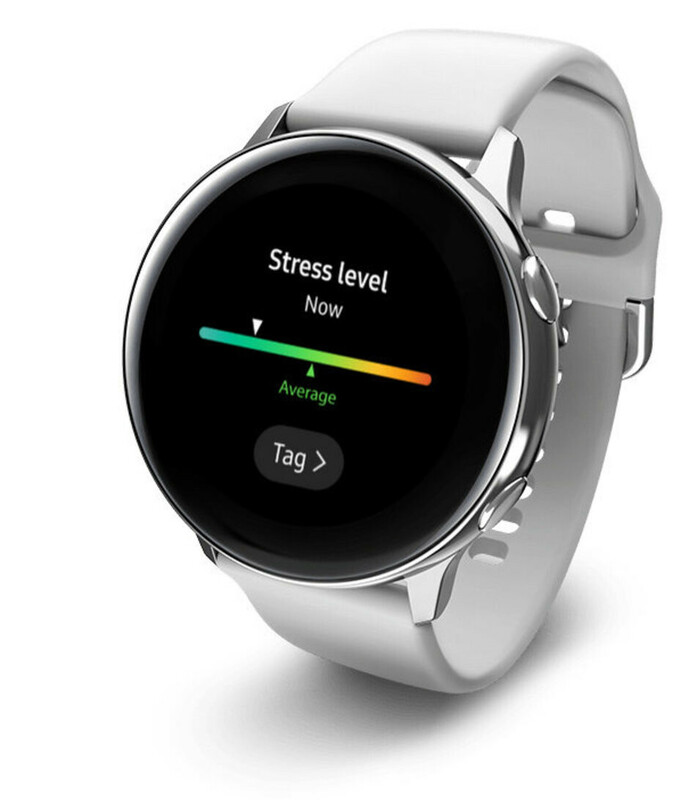 Samsung has even promised that this watch will be its first one that you will be able to use to measure your blood pressure (but that feature is coming later on and is not available at launch). So… should you buy the new Galaxy Watch Active? And are there any hidden pitfalls? I have spent the last week with this timepiece and it’s time to sum this experience all up in our review. 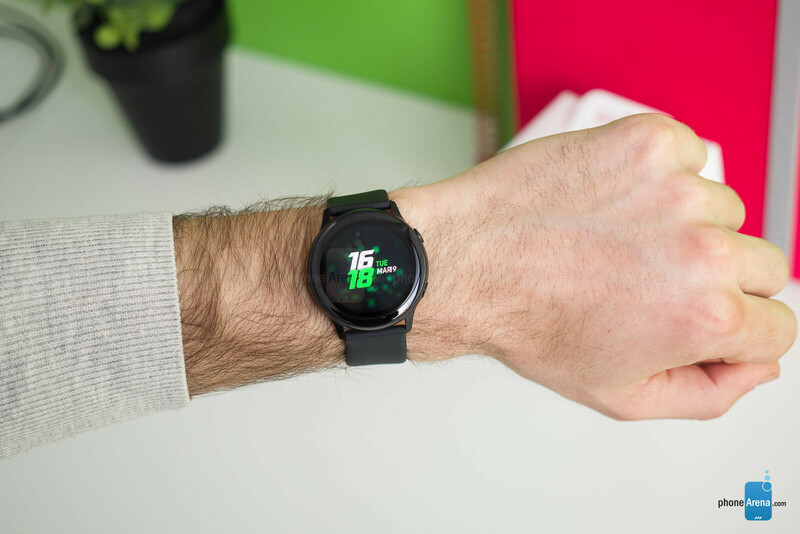 The first thing that you should know about the Galaxy Watch Active is that it is tiny! 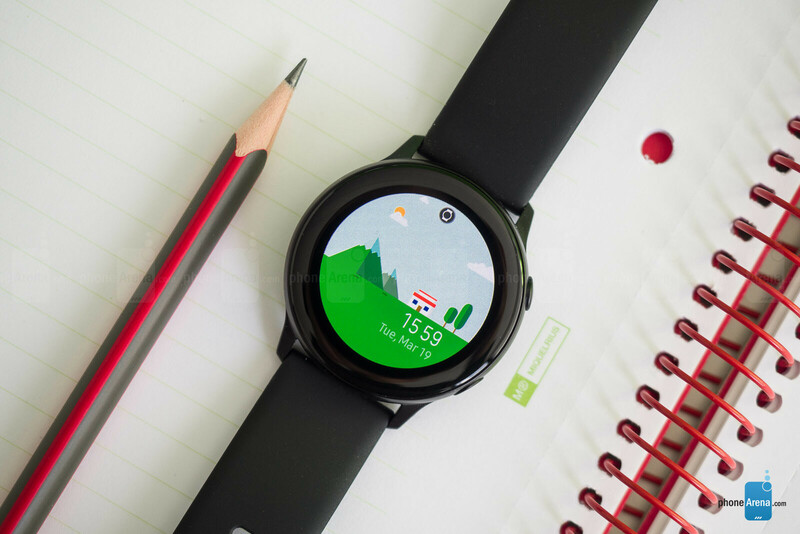 We have had so many great big smartwatches and so very few good small smartwatches, so this size will definitely be something that many people who have felt neglected by the industry will appreciate. Specs-wise, this has an 1.1-inch screen, while the watch face size is 40mm. Again, it looks perfect on smaller wrists and will also be a great fit for many women, but chances are that it will not look great on a bigger wrist. 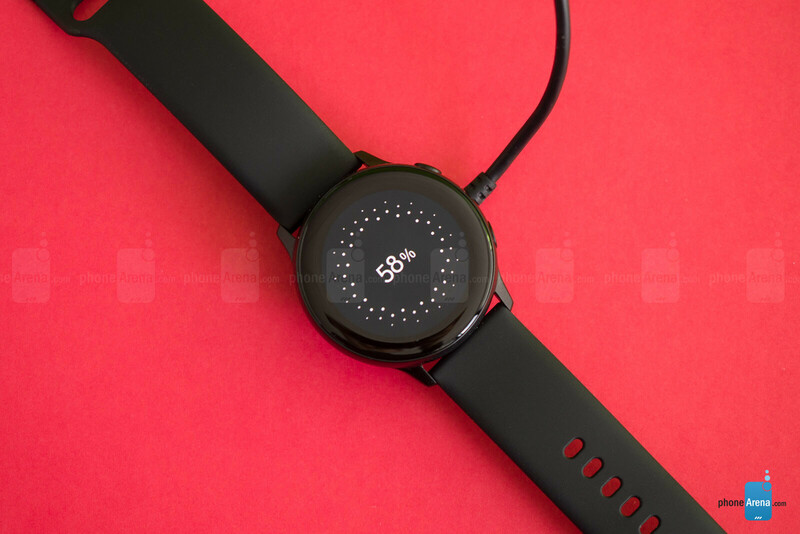 The Galaxy Watch Active comes with a sporty silicone band in the box and this band comes in a small and a large size versions. 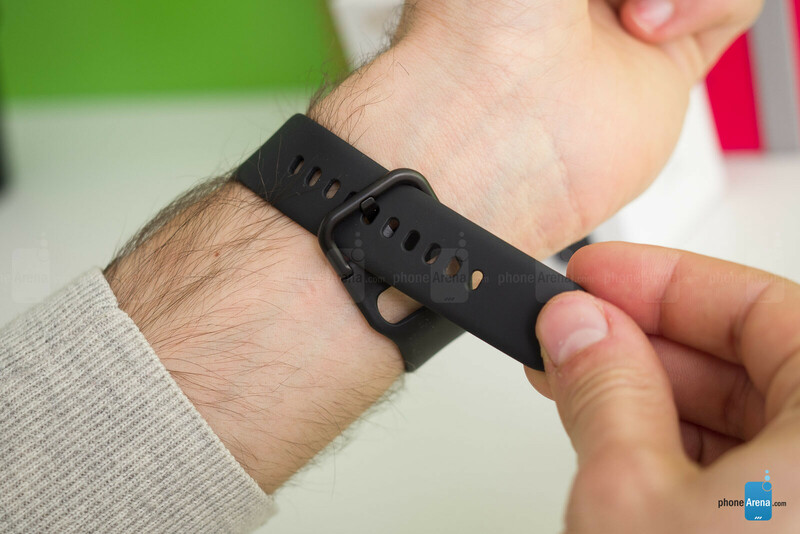 If you have seen the sports band on the Apple Watch, you will recognize the similarity instantly: the looping design, the soft silicone feel, it is indeed similar and also feels just as comfortable to use. The buckle here is a traditional one, though, and we actually find it more convenient, plus it is made of metal and feels very solid. Good news is that you don’t have a proprietary system for swapping bands here and instead you get a classic quick release system that we love and that allows you to easily swap bands in seconds. The band size is 20mm. In fact, swapping the sporty silicone band with my beautifully aged and worn-in leather band was the first thing I did, and this alone can instantly make this watch much more elegant and better fitting your business attire. Sure, this is not a watch that you wear with a tux or to show off as jewellery, but with a proper band, it can look good both at the gym and in the office. We should say a few words about the screen on the Galaxy Watch Active. You have already seen the specs: a 1.1-inch AMOLED screen with a 360 x 360 pixel resolution and Gorilla Glass 3 protective glass. What you don’t see listed here, however, is the feel and since the screen is nicely laminated, swiping on it feels very smooth to the touch; the brightness which gets bright enough to see under bright daylight; and finally, the always-on option which shows you the time at all times, without requiring you to first flick your wrist. You should also know that there is quite the big bezel around the screen, which makes the display itself appear even smaller than it is, but while this does not look great, we got used to it and stopped noticing the bezel after just a few days. 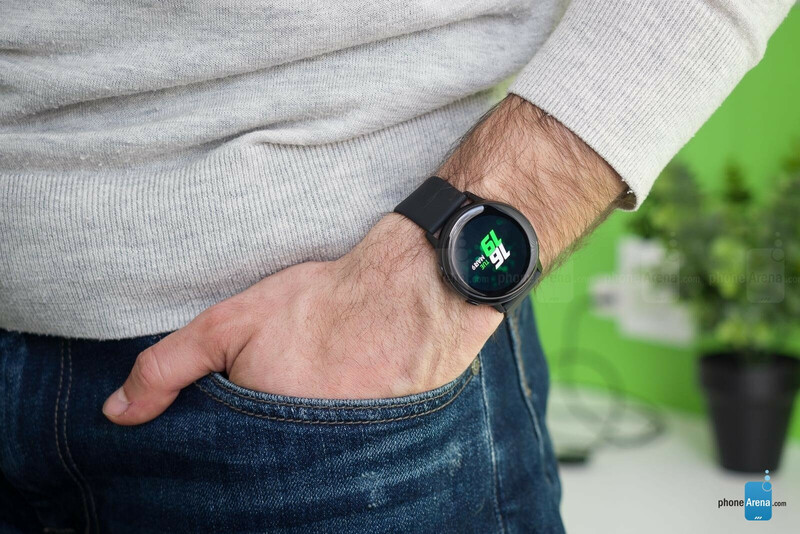 Just like other Samsung smartwatches, the Galaxy Watch Active runs on Samsung’s own Tizen platform. However, unlike those other Samsung watches, this one does not have the convenient rotating bezel that you use to navigate around the menus. Combine this with the tiny screen size and picking the right app in the menu can be quite a pain. At the same time, though, you have to ask yourself how often do you actually use apps on your smartphone? For my personal use, I found that I barely do, and most of the things I do on the watch are just a quick glance to see the time or a quick swipe between the different home screens when I am clearing notifications or looking up the weather. 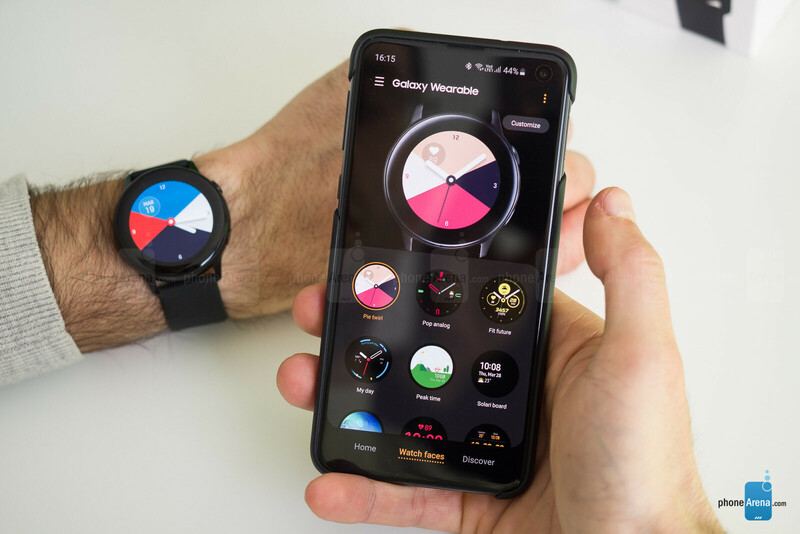 So while the Galaxy Watch Active is definitely not as convenient to navigate as other Samsung watches with a rotating bezel, this would probably not be a deal-breaker for most people. The one downside that you will often hear about Tizen is that it does not have the big app store that the Apple Watch or even Google Wear OS watches have. And that is true, but the very essential apps that most people would need are available here too: you have Spotify for your music, you have Strava, Endomondo and Map My Run for the runners and cyclists, you also have My Fitness Pal and Swim.com, so your basics are covered. I have found that another extremely important feature of a smartwatch are those slight taps and vibrations that you get that serve as a reminder to either do something or take a quick look at your watch to see what’s new. The haptic feedback. Well, it’s not great on the Galaxy Watch Active, especially if you come from the Apple Watch. Instead of the gentle taps that you get with Apple’s Taptic Engine, here, you get rough and not very distinct vibrations. Yes, they get the job done, but there is no refinement and I found this important part of the communication between smartwatch and person sorely lacking. The Watch Active has the active lifestyle in its name, so it indeed is an awesome little helper for your workouts. The one feature that steals the show here is automatic workout tracking. This works much better than on the Apple Watch as it kicks off every single time you take a brisk walk for over 10 minutes (which happens surprisingly often for me), and automatically records it to your workouts, while with the Apple Watch you would have to go to the labor of manually starting and recording it (the Apple wearable has automatic workout tracking but it only works for longer workouts and I found it less reliable than Samsung’s method). 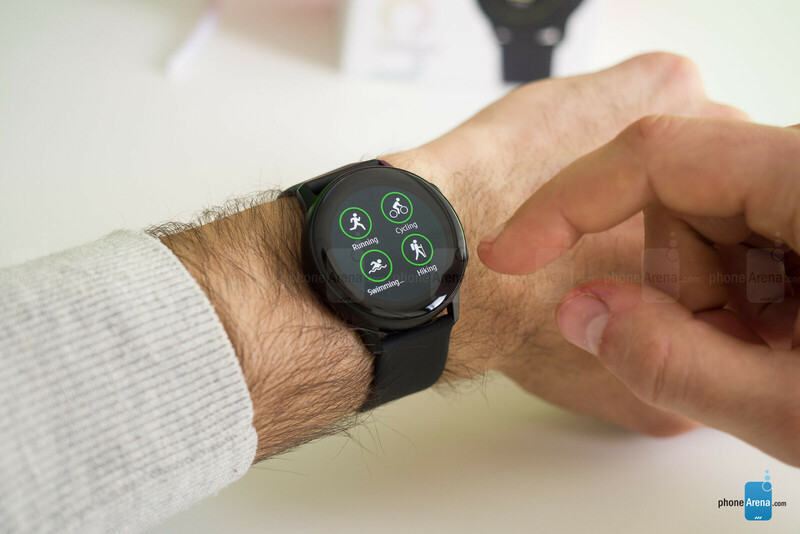 Runners will find the Galaxy Watch Active particularly useful as you have detailed run tracking and GPS on board, so you can record your runs on a map even in urban, densely populated areas and GPS performance is quite good. With 5ATM water resistance, you can also take the Galaxy Watch Active with you in the swimming pool and you will get detailed stats for swims as well. 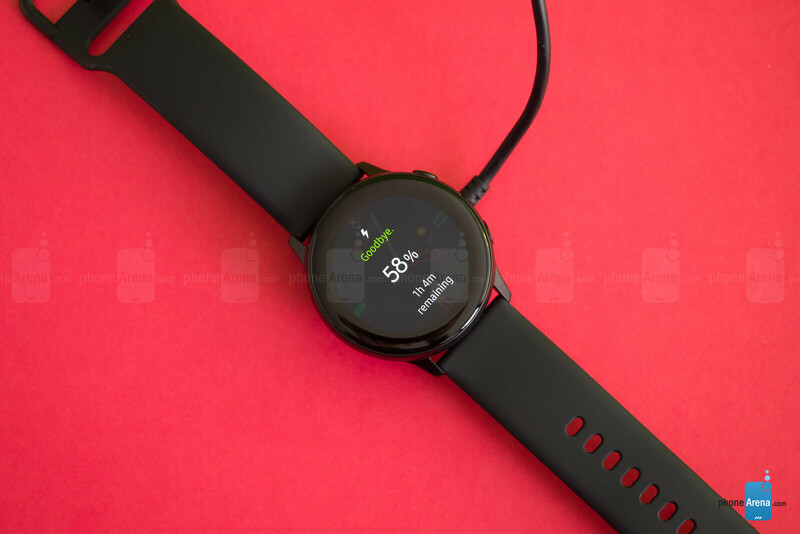 In fact, here are all the supported workouts that this watch can track: walking, running, cycling, swimming, hiking, treadmill, exercise bike, weight machines, and others. This other category is particularly interesting as you can find your typical gym exercises here: arm curls, bench press, deadlifts and everything else can be individually selected and tracked, which is really cool. Since this watch will last you around two days on a single charge, you also get automatic sleep tracking. I am one of those people who does not like wearing gadgets on themselves while they sleep, but I did sleep with the Galaxy Watch for a couple of nights and it was very light and comfortable, definitely a much better experience than I’ve had with bigger and bulkier smartwatches. The results you get include a breakdown of the time you spend in deep sleep (this is the important, restorative sleep), in light sleep and in REM (time spend actually dreaming). The tracking I got seemed quite accurate and interesting to look at. It’s particularly useful to see how those times of deep, restorative sleep happen mostly earlier in the night, so this info should motivate people to go to bed earlier and feel better during the following day. You also have a stress meter and a guided breathing session. I am not meditating on a daily basis, but when I feel stress, I always appreciate these breathing sessions immensely, so I am glad they are here on the Galaxy Watch Active. The only downside of all this is again the quite poor vibration that is supposed to guide you about when and how deep your breathes should happen, but does not quite do it very well. Finally, let’s talk battery life. For me, the Galaxy Watch Active was a solid 2-day experience. You wear it a full day, sleep with it, then wear it one more day and its battery runs out by the time you get back from work. Of course, if you run for an hour with the GPS on, and do reps in the gym on the same day, you might not get that much juice, but for everyday averages, it’s a 2-day battery experience. You can charge up the watch in two ways. One is the magnetic charger that comes included in the box. That one takes around two hours to fully charge up the watch (you get a 60% charge in 1 hour). 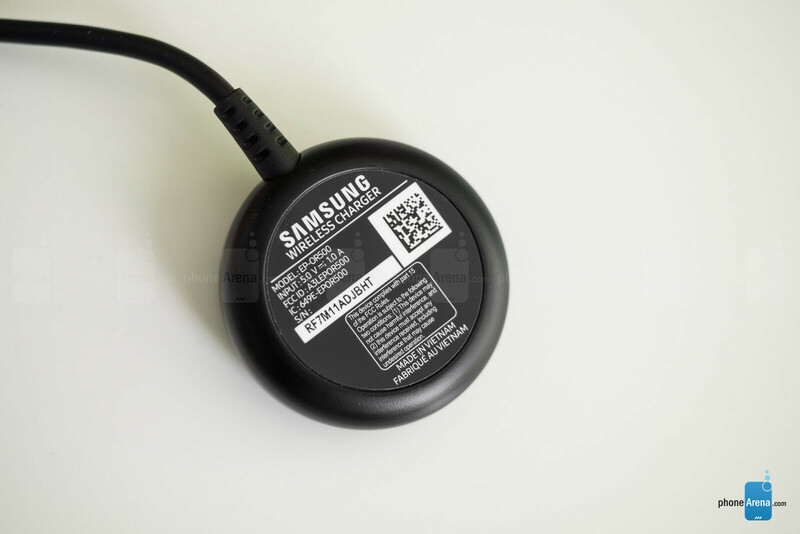 The other method is the cooler one: if you have a phone with reverse wireless charging like the new Galaxy S10 series, you can enable that option and slap the watch on the back of your phone and the phone starts acting like a wireless charger. Cool, right? Theoretically yes, but in reality… not so much. First, it’s not very easy to find the right spot when the watch will charge. 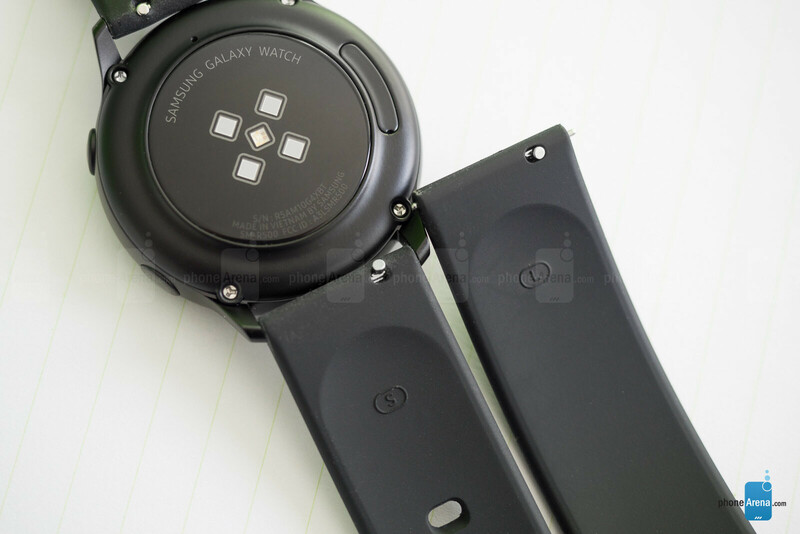 Second, both the back of the phone and the watch are slippery, so if you get a notification on your phone while the watch is charging (quite likely), the vibration from that notification might move it off the center and stop the charging process. And thirdly, can you leave your phone without touching it for two hours or more in the middle of the day? Not really, right? So, while it’s a good option for a quick top-up when you don’t have enough juice, we don’t think that this is a viable option for everyday charging. So… it’s time for some conclusions. 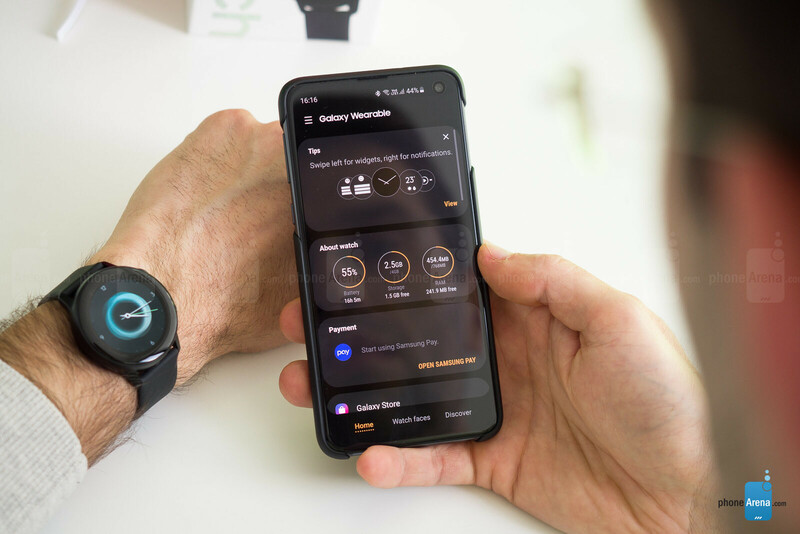 Did we enjoy using the Galaxy Watch Active? Yes! It’s small, lightweight, comfortable, and it’s a perfect fit for people with smaller wrists. 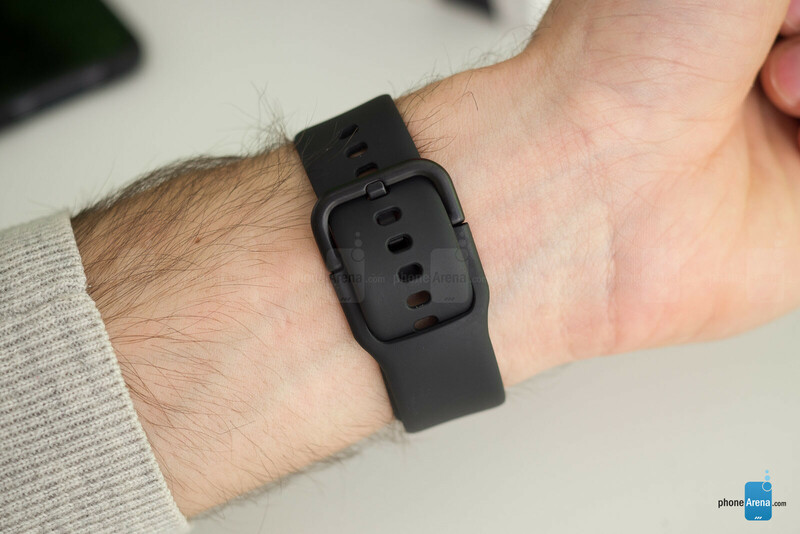 It’s got a good-looking screen with an always-on option, its automatic workout tracking is spot-on, its battery lasts for about two days on average, so you can easily track your sleeps, and you can easily swap bands with quick release. The biggest downside for us was the haptic feedback that did not feel great and we also did miss the rotating bezel as it’s hard to tap and swipe on such a small screen. None of these, however, are a deal-breaker in our view. At just $200, the Galaxy Watch Active looks way better than a sports band and it feels way faster than say a Fitbit Versa. It’s not the very best and most refined smartwatch ever built, but it’s certainly among the best for its money and it gets our two thumbs up. But this watch in person looks terribly cheap, particularly in Samsung's favourite tinfoil colours. After reaching a design high with the Gear S3, Samsung is gradually making each generation of smartwatches uglier. I don't think that bezels work in the same way for smartwatches as on smartphones. If there is a big hardware lunette like in analogue wristwatches that is a part of the design, then I have no issue with them. But in this watch the bezel is treated like on a smartphone, i.e. under the display glass. So it is noticeable in a bad way. It's also pretty noticeable in real in comparison to the flattering press images. I think the design is on point, but that black bezel ruins everything for me. I have never been a fan of the Apple Watch, but when they eliminated the bezels, it has grown so much on me and see it as one of the nicest looking smartwatches on the market. I wouldn't have changed anything about the Active watch if Samsung went with a bigger screen and slim bezels. I liked the design of the watch and the Feel of the watch is really nice, however the watch is just too small for me. I am not the physically fit person, but I do lift so I have a good amount of size on me, when I tried the watch on it looked like a charm bracelet for my daughter. Great watch for slimmer (runner and swimmer type bodies) and women (basically anyone with a smaller wrist and slim-fit physique. Yeah the size of it makes this watch interesting to me. I am what you described in your last sentence and I disliked a lot of watches because they are so big! I'm not a lady that likes the oversized watch look. This looks like a watch that would look fine on my wrist. Otherwise, the Apple Watch was the closest I could get. They just don't get it. For fitness oriented people, two day batery life just isn't enough. Apple Watch has just 1-1.5 day battery and sells like hot cakes. If we're talking Wear OS or Samsung smartwatches, battery life is first concern. If it's about the Apple Watch, it doesn't matter. It's Apple. got the gear s3 slightly used for 130... much better than my s2 with NO SPEAKER... the speaker changes everything!!!! I wish you would compare the HR accuracy (against Polar H10 belt, which is the accuracy standard, not applewatch). I also wish you would compare the sleeping architecture accuracy against Oura ring (NEW), which is the sleep accuracy standard. Just saying it reports HR or sleep doesn't mean anything, if the the data is all over the place and inaccurate. Important question for me when traveling - will the alarm vibration actually wake you up? My old Pebble could figuratively wake the dead, some others, not so much.